VeriCite DocumentationUser GuidesSakai User Guide Instructor ArticlesHow do I modify the Exclude Quotes setting for an individual report? 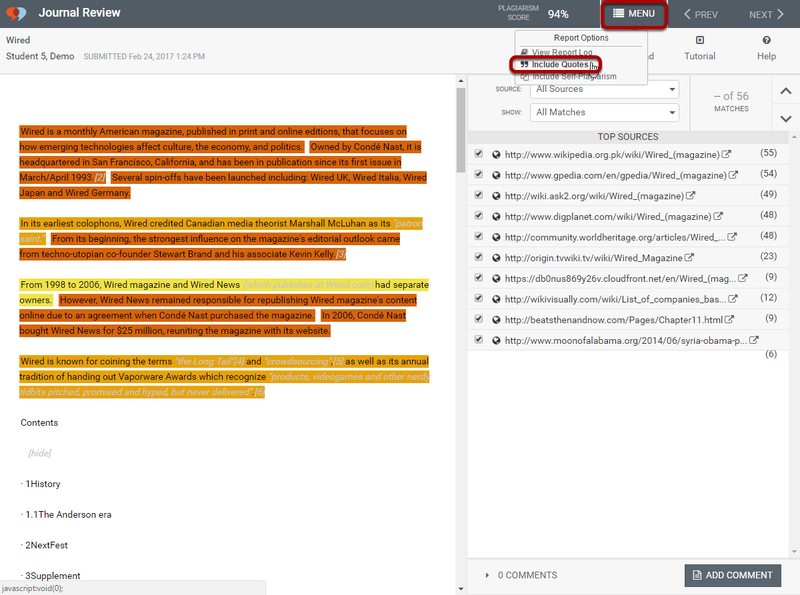 When you create an assignment, you specify the default Exclude Quotes setting for all submissions to the assignment. However, you may adjust this setting on an individual report if desired. Turning off this option will include all text in the matching index, regardless of whether or not students have quoted the text correctly. 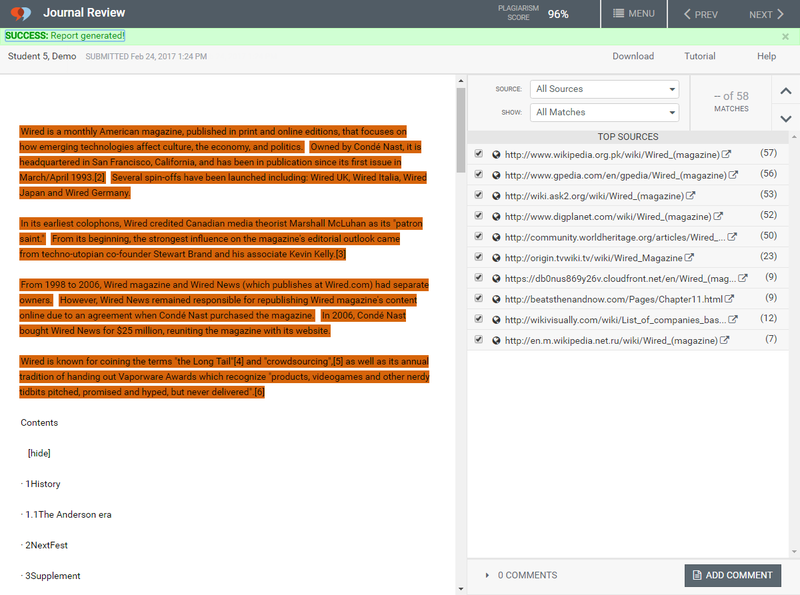 Click on Menu, and then select Include Quotes. Zoom: Click on Menu, and then select Include Quotes. Note: If you are already including quotes for the report, you may toggle this setting back on by selecting Menu > Exclude Quotes. A banner message will appear to let you know that there have been changes to the report, and you need to Update to see the current score. The new score will be displayed. Zoom: The new score will be displayed. Prev: What is the score log? 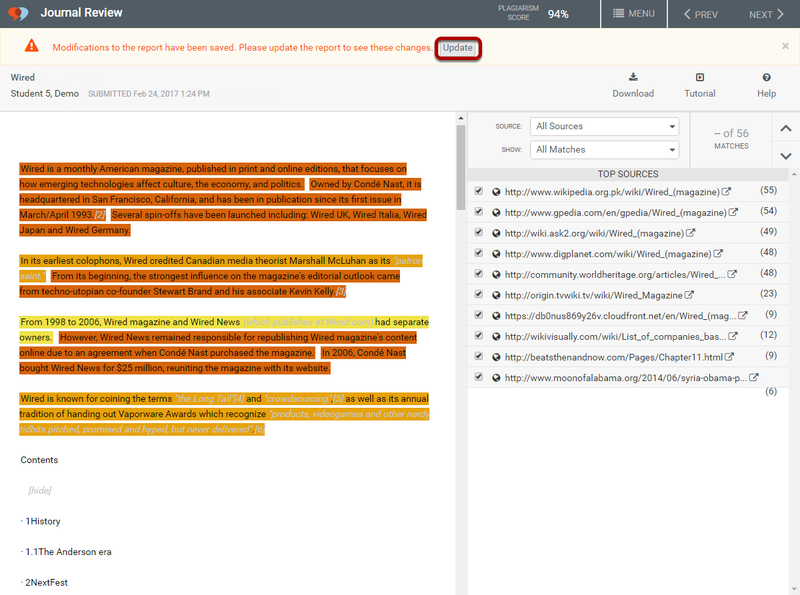 Next: How do I modify the Exclude Self-plagiarism setting for an individual report?